Ensuring your pup finds enough exercise to maintain his or her prime fitness levels can be a bit challenging with today’s 9 hour work days and demanding college educations. We all want the best for our pets, but sometimes fulfilling exercise needs just isn’t possible for one person. As an alternative to outdoor running, many people resort to treadmills. In fact, they can be found in nearly every single major gym in the country. 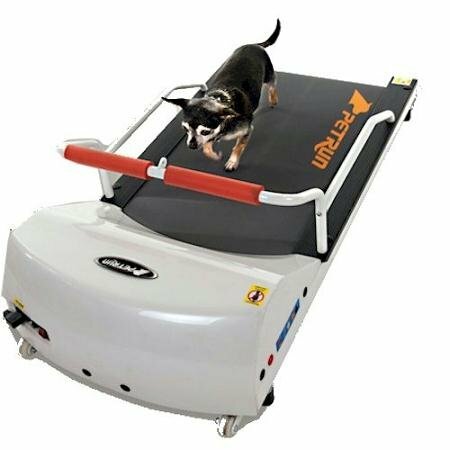 Why not use the same treadmill for dogs? 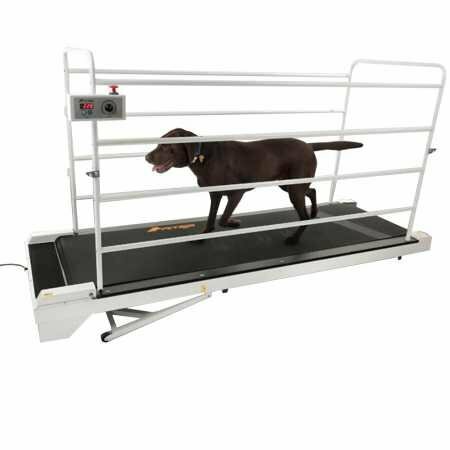 Finding the best treadmill for your pet can be a bit challenging, with so many fantastic options available! Considerations like size, weight, age, energy level, and breed can all help you limit this choice. Then there are the many treadmill options, and features offered by each. Depending on the size of your pup, you might need a very big dog treadmill or might be able to get by with a smaller one. Though most offer either foldable capabilities or dolly wheels for easy transport, this isn’t always an option. Make sure your choice is appropriate for the size of your pup! Most treadmills offered here allow for adjustable speeds up to 8 mph, which is an appropriate speed for exercise. Even though your doggie might be able to run much faster than this, short term sprints could cause injury and aren’t the goal. Always make sure your dog walker machine offers at least some kind of warranty! Because these are (often larger) machines, they are probably not 100% damage proof. Best for small to medium sized breeds and advertised for dogs up to 44 pounds, the Go Pet Petrun Pr700 offers not only a fantastic form of exercise for our little ones, but it’s simple and straightforward! Any owner can figure out this one, as it does away with all the unnecessary gadgets and offers a complete, straightforward exercise machine to keep those pups going. With a special folding, space saving design, forget that giant bulky impossible to move treadmill. 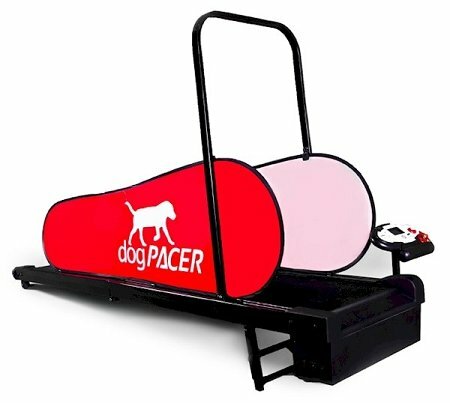 The dogPACER LF 3.1 gives you (and your pup) several preset dog fitness programs along with a powerful 1.5 HP motor and simple design for easy storage! Recommended for animals weighing up to 132 pounds, this dog exercise wheel covers small, medium, and most large breeds. GoPet Treadmills include dolly wheels for easier mobility, and a metal eyelet tor toy attachment to help stimulate your pup to run! On top of all that, simple push button controls allow steady raising or lowering of difficulty levels. Catering breeds up to 264 pounds, there are very few dogs on earth that are too big for this dog treadwheel! In fact, the normal weight for most giant breeds ends at 250 pounds, so this one will cover any breed you could own. With an adjustable speed levels and a metal eyelet for toy attachment on top of side rails to prevent falling, few better dog hamster wheels exist! This one is a truly beautiful dog treadmill, designed specifically to cater to the way a dog moves, thinks and learns. A very unique low profile running platform helps improve gait form, on top of a space saving slim design. Speeds ranging from 0-5 mph cater to small breeds, up to 30 lbs. 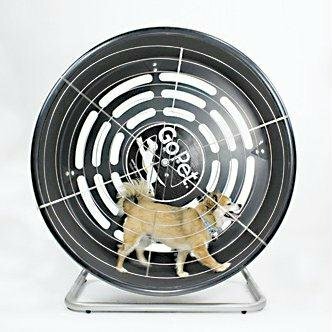 Designed for canine breeds up to 25 pounds, the GoPet Treadwheel differs from the others here because it resembles something closer to a hamster wheel. An absolutely superb piece of exercise equipment, this one offers a very natural and comfortable form of stimulation for your little one, and is easy to transport/set up to boot! 1. 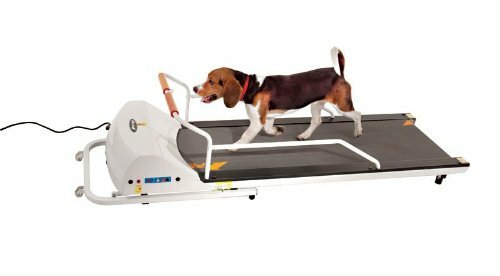 How can a treadmill for dogs help me and my pet? Very few pet owners can actually provide the ideal frequency and duration when exercising/walking their dogs. In reality, many breeds were bred to work long hours, and require much more physical stimulation than owners are capable of offering. You no longer need to worry about setting aside time to walk or play outdoors. Simply attach a toy, set a speed, and let him go! 2. What do I do if my dog doesn’t want to use the treadmill? In these situations, you want to use a reward based training method to encourage your dog, and reassure if your pup is nervous. Many producers recommend a toy your dog likes, but praise is also fantastic and should accompany any reward. You can use treat rewards as encouragement, but don’t go overboard; your end goal is exercise and fitness. 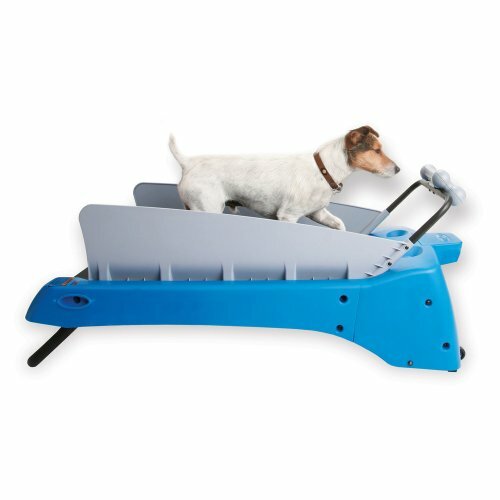 Dog treadmills are both fantastic options and superb alternatives to help boost your pup’s health and fitness! Whether it be time restraints or health concerns preventing you from walking your pet physically, or simply added exercise, these devices are going to be great tools for you both. I am really tired of everything defaulting to Amazon. Recently they offered me a gift for a 5 Star Review. I do not trust their reviews and wish Google wasn’t in bed with them. What brand are you using in the video? It is not one of these. It is Petrun Pr700 in video.